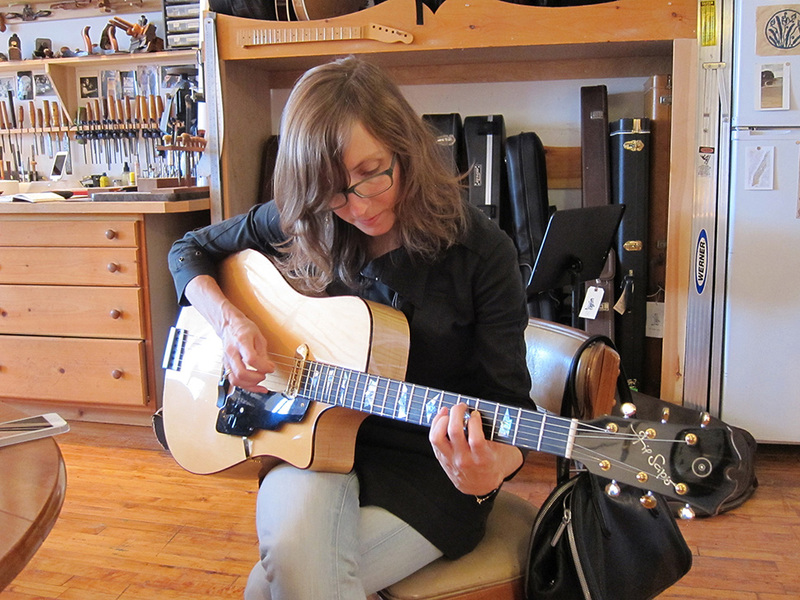 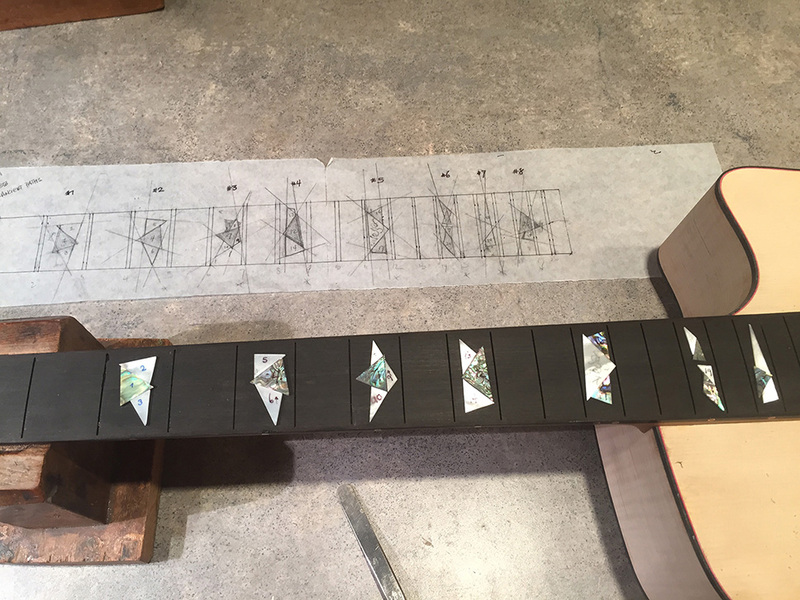 This instrument came out of a request from Mary Halvorson to have a guitar made that could be quickly disassembled and reassembled to alleviate the stress of long distance traveling with a big guitar; her main instrument being a Guild Artist Award 17" arch top guitar. 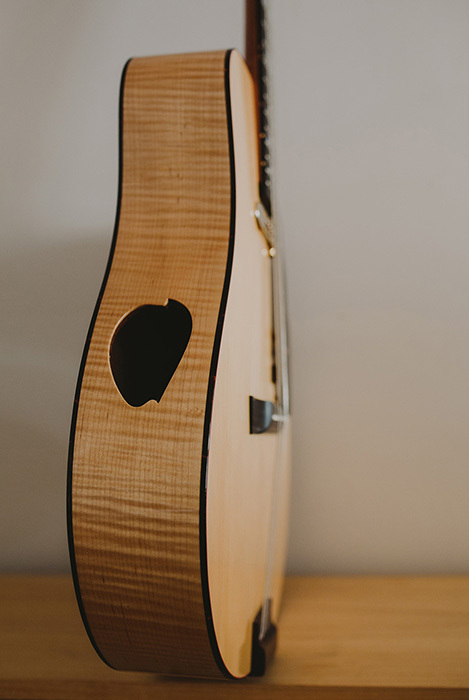 Although her new guitar ( named Vega ) comes apart very easily, the most important design feature was to have a usable musical instrument, and not have the unusual neck joint be the center of attention. 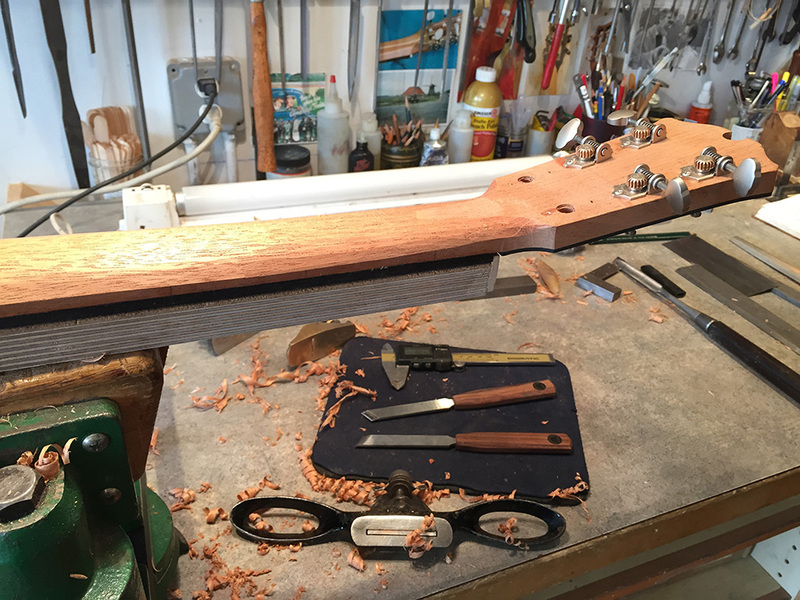 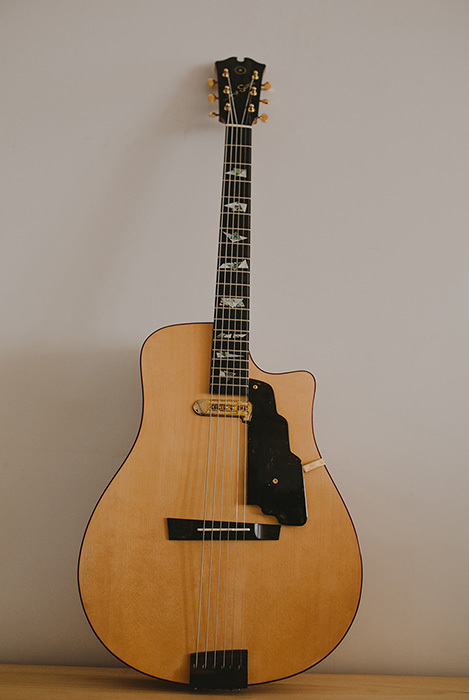 To ensure a physical connection with the Guild Artist Award guitar, the dimensions of the Guild's neck were copied, and an original Model 1100 DeArmond pickup was used to amplify the new guitar. 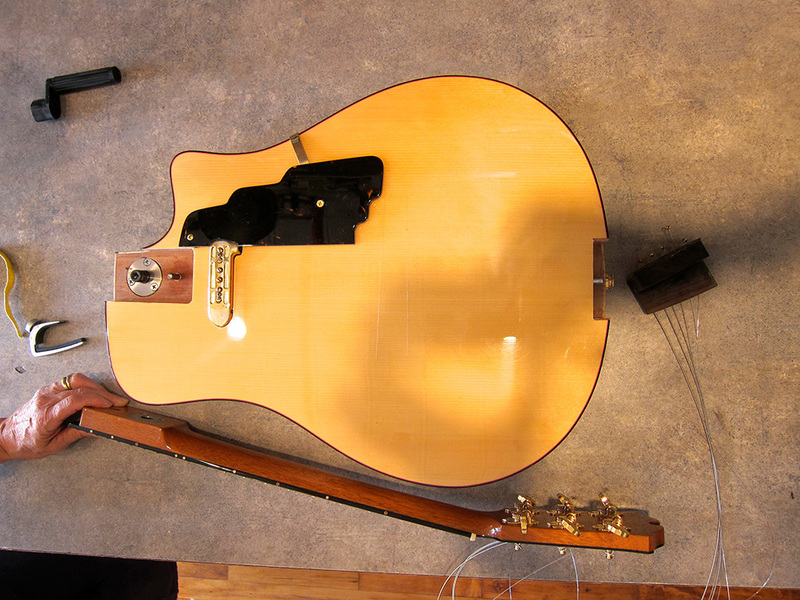 Mounted on a pedestal on the back, a easily removable sound post allows the guitar to be played at high volume without feeding back. 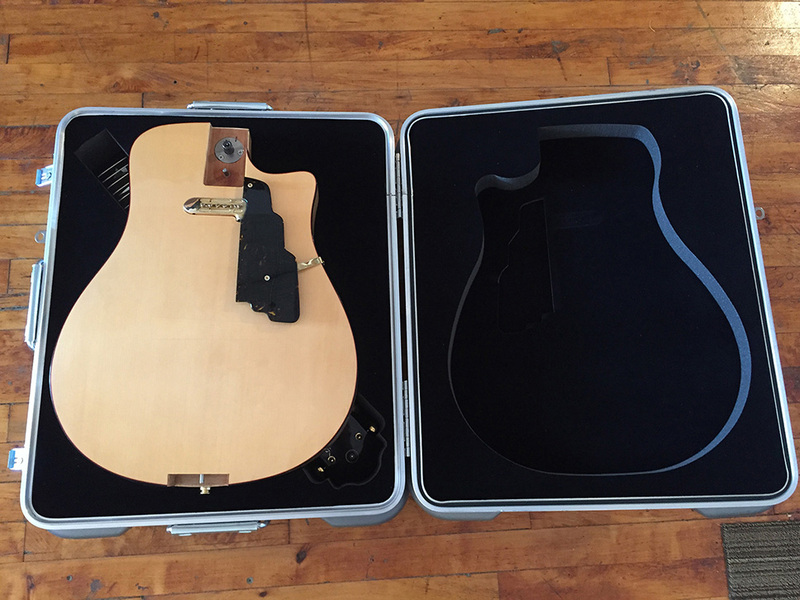 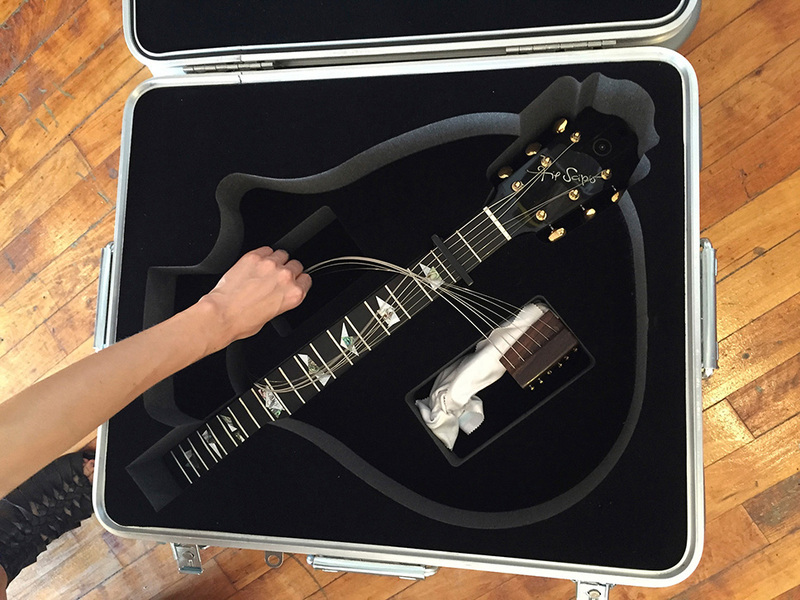 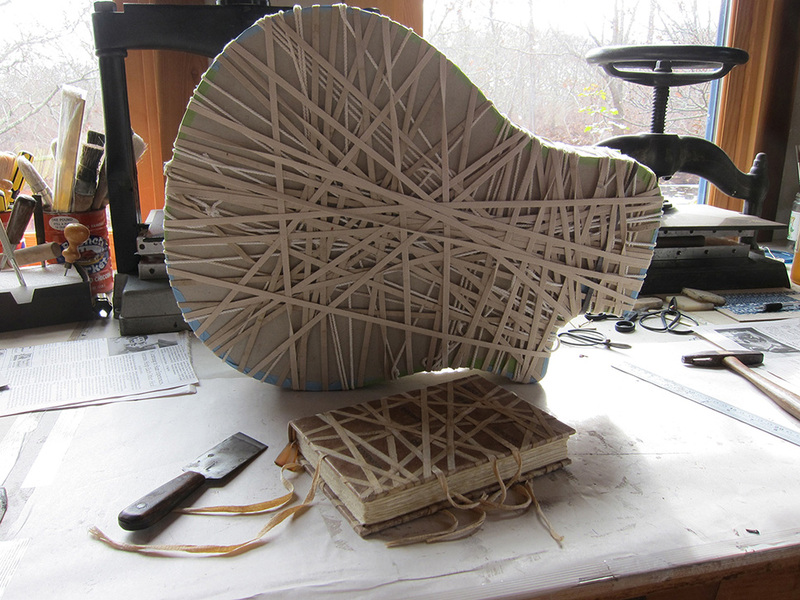 A reinforced traveling suitcase was custom made for it, so that the guitar can be placed in a plane's hold without getting damaged. 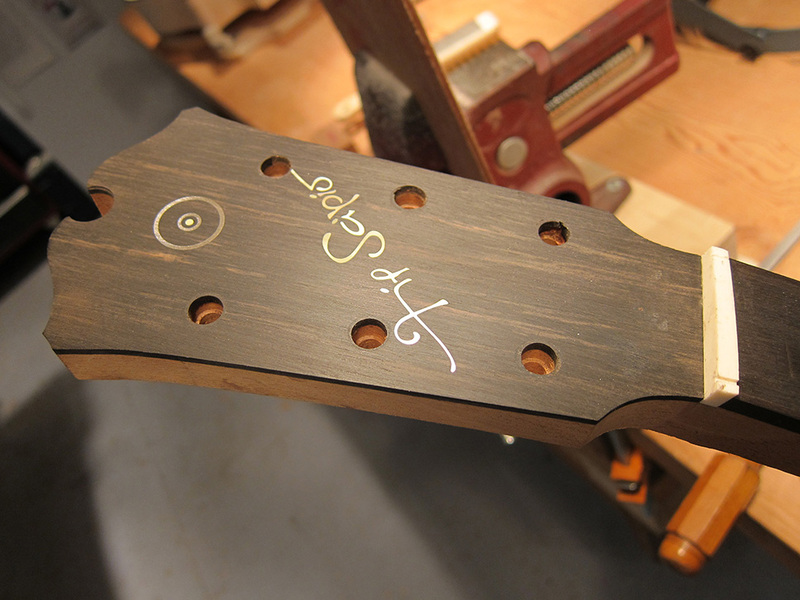 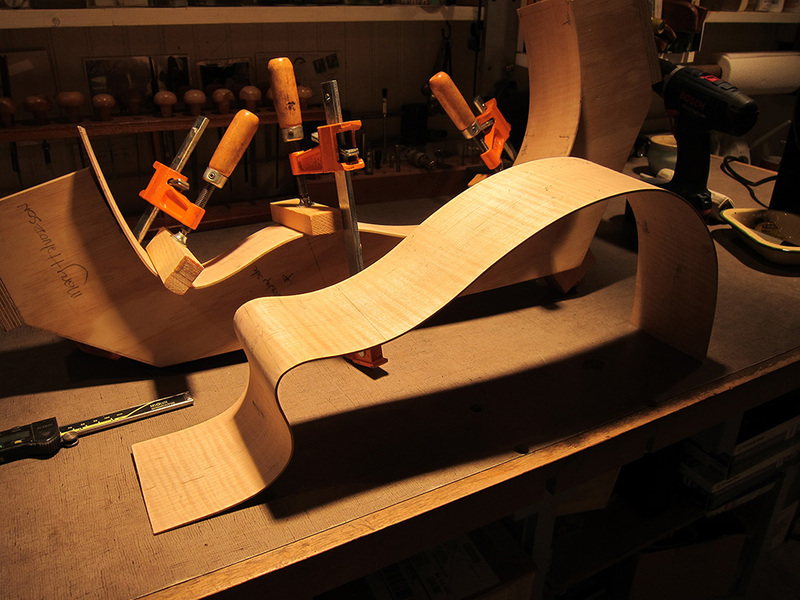 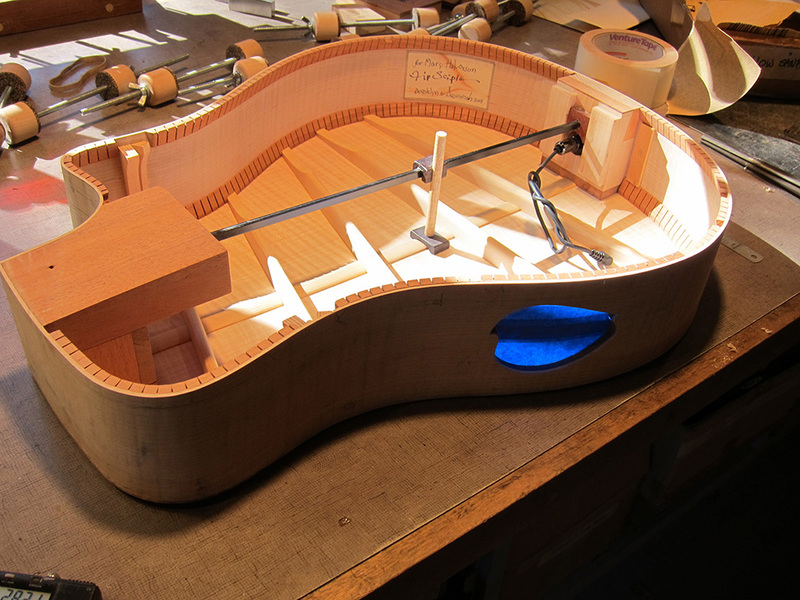 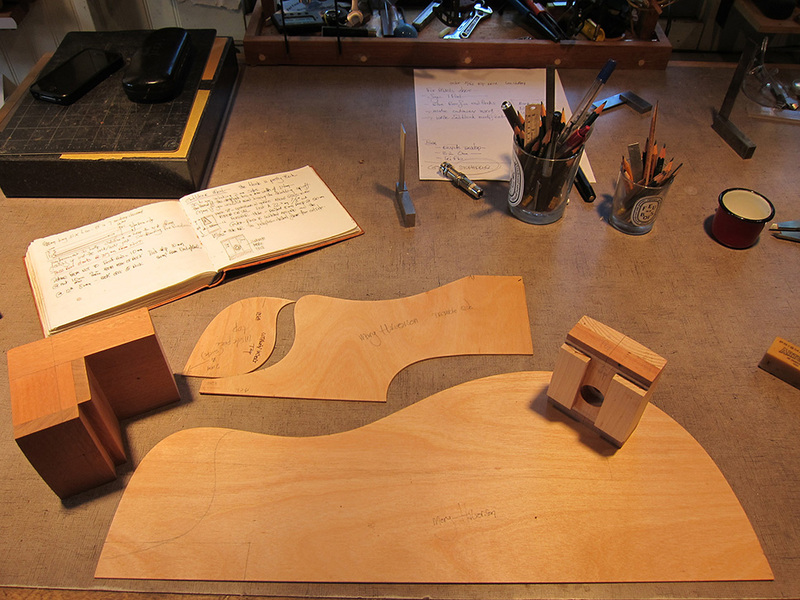 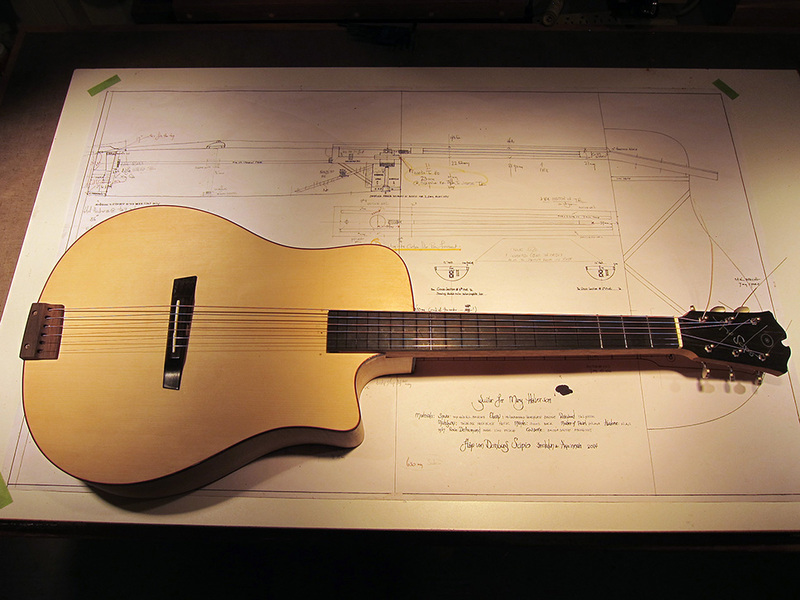 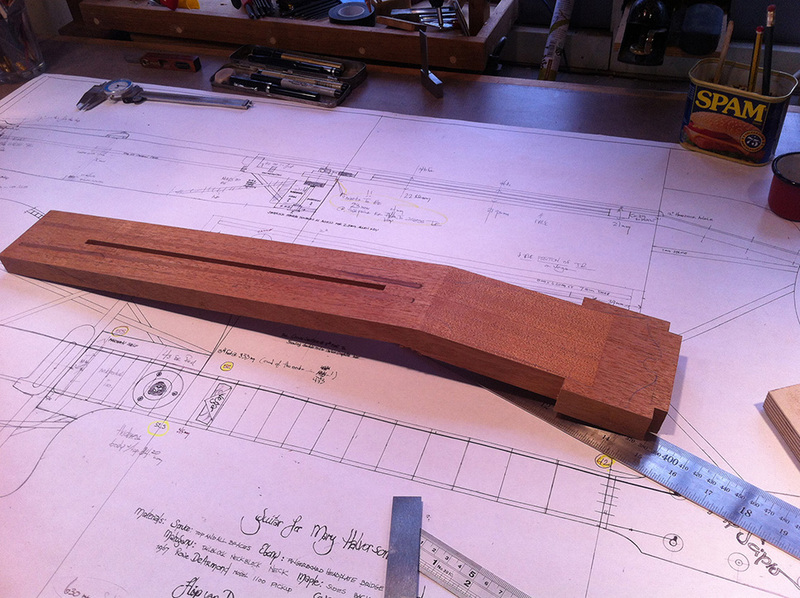 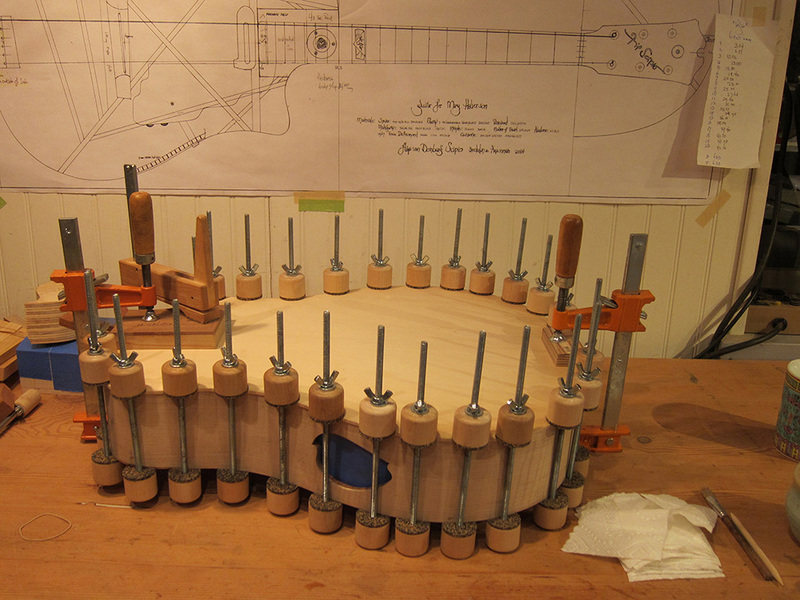 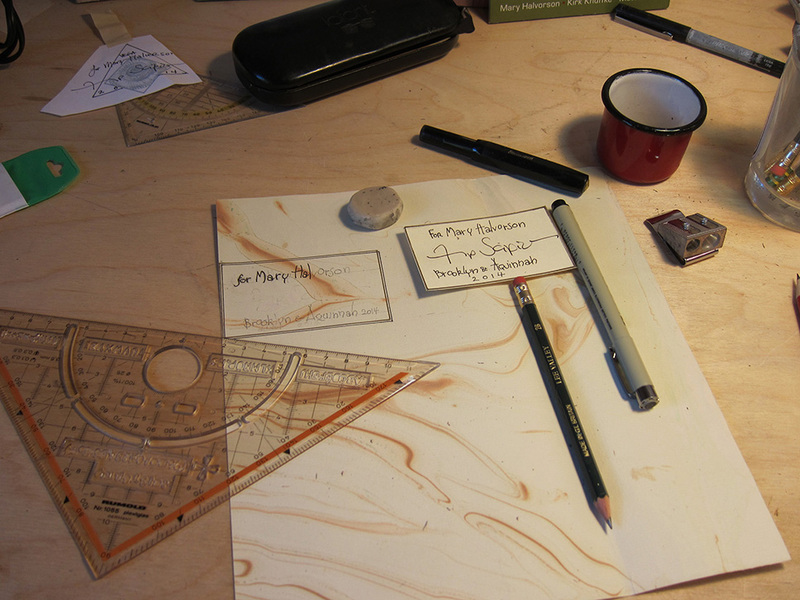 A Big Thank You to Dutch guitar maker Richard Heeres, for his generous assistance and helpful suggestions. 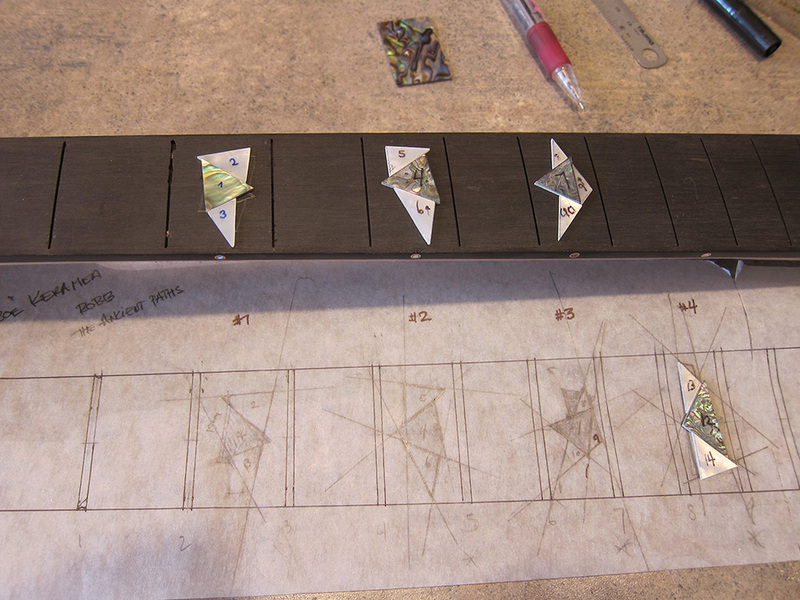 It’s his neck joint design I borrowed for Vega.